Most residents have their doubts about modern techniques of trenchless sewer repair. So when they decide to repair the sewer pipes in their homes in West Seattle, Washington, they opt for the traditional method of excavation. Do you know what you have on your hands when you opt for the traditional method? A front driveway with patches of cement. The huge cost of replacement pipe. The time and money to re-grow a beautiful lawn. So if you intend to repair or replace your damaged sewer pipes, don’t go for the age-old excavation method. Unless of course, the initial camera inspection reveals that the roots of the tree in your lawn have grown into the sewer pipe. We at Bob Oates Plumbing have extensive experience of trenchless repair of sewer pipes. You call us out for an inspection. Our professional team responds by visiting your house to make an initial survey. The charge for an initial camera inspection of your sewer drain pipes is minimal. It helps pinpoint the location of the fault and the extent of the damage. Our engineers provide you with a realistic estimate of repairs. You compare the estimates from other plumbers in the area. 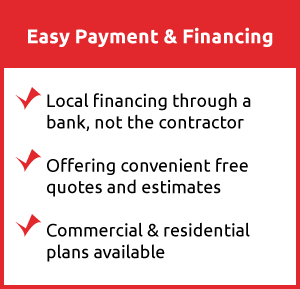 You opt for our services. We agree on a schedule and cost of repair. Our team visits your property and finds one access point to complete the repairs. They take one day to complete the repair process. 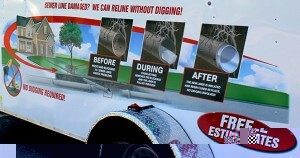 After the repair, they again use a sewer camera inspection to be sure that all repair work is completed to perfection. The sewer pipes in your house will first be flushed with pressurized water to clear the pipes of all debris and other material sticking to the walls of the pipes. Our plumbers insert a non-woven felt tube with outer and inner polyethylene sleeves in the damaged sewer pipe. Then we pump a liquefied thermosetting resin into the felt tube to completely soak the felt lining with the resin. The thermosetting resin will later form an impervious lining inside the damaged pipe. A flexible pipe which is called the bladder is inserted into the felt and polyethylene sleeve assembly. We fill the bladder with pressurizing fluid to inflate it. Depending on the type of thermosetting resin used, the curing fluid may be air, hot water, or steam. We maintain the pressure inside the bladder for the time it takes for the resin to set and form the new lining of the pipe. Once the curing time is reached the pressure of the fluid in the bladder is removed and the deflated bladder pipe is removed from inside the pipe. We then test the new pipelining for integrity. This method is a replacement technique rather than a lining technique. We go with this method when the damage to your sewer pipes is extensive. Our plumbers fit a cone shaped bursting assembly at the end of a new pipe. We then insert this cone in the damaged pipe. After applying force to the old pipe, we burst it away and replace it immediately with a new pipe. 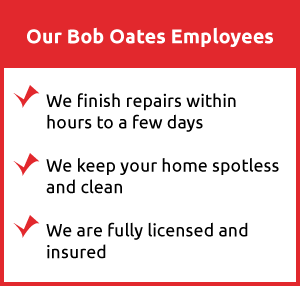 If you want to avoid all the stress associated with traditional sewer repair method, give Bob Oates Plumbing a call. 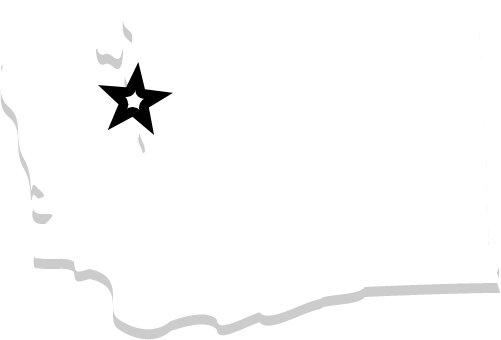 Our plumbers have the seal of approval from residents of West Seattle, Washington.